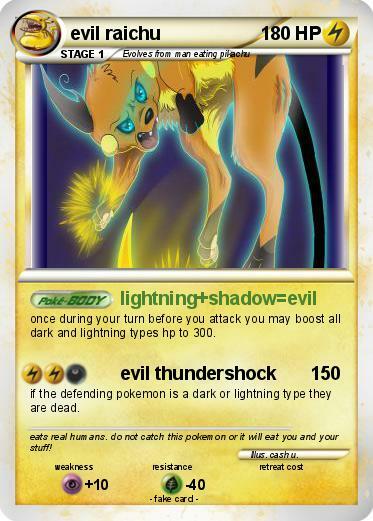 once during your turn before you attack you may boost all dark and lightning types hp to 300.
if the defending pokemon is a dark or lightning type they are dead. Comments : eats real humans. do not catch this pokemon or it will eat you and your stuff!